A Snohomish man recently captured video of two wolverines near Glacier Peak. GLACIER PEAK — Josh Adams had his binoculars and a point-and-shoot camera with a 35x zoom. He’d hiked up to White Chuck Glacier looking for birds. Instead, he captured video of a rare and iconic animal that has been making its comeback in the Washington wilderness. The 15-second clip shows two wolverines bounding away from him across the rocky terrain near a snowfield on Aug. 28. 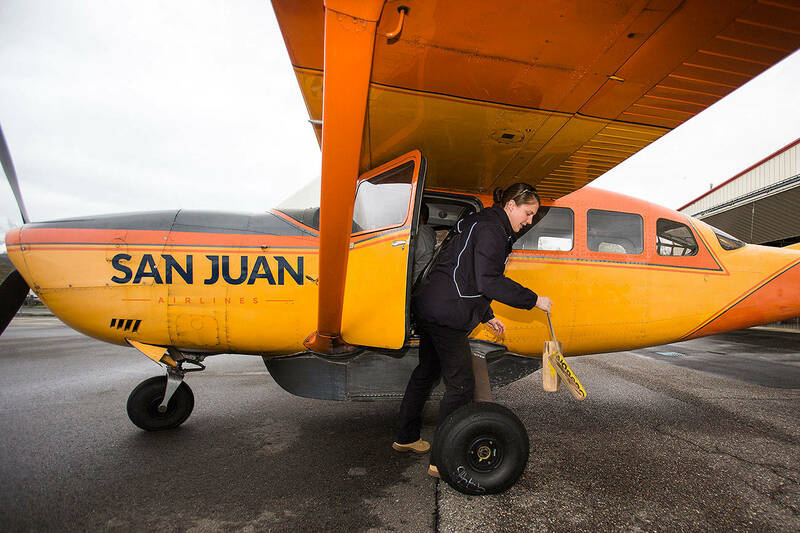 Adams, 37, of Snohomish, was trekking back from his campsite on a two-day backpacking trip when the wolverines “jumped out, almost right in front of me,” he said. He was on the south side of Glacier Peak when he saw the wolverines, he said. He made the trip hoping to spot some wildlife that live in those remote reaches. Birding is a hobby, and he’s set a goal to see as many species as possible this year in Snohomish County. The wolverines were a surprise. The notoriously tough and tenacious mammals once roamed mountains in North America and thrived in the Cascade Range. But hunting, trapping and efforts to control predator numbers decimated the population in the last century. Scientists believe the family line of wolverines that once lived in Washington was wiped out. “The historical population was extirpated, totally gone,” said John Rohrer, a wildlife biologist with the U.S. Forest Service Methow Valley Ranger District. In recent years, wolverines regained a foothold in the North Cascades. There’s been documentation of the species farther south, as well. Researchers concluded animals from Canada have migrated south. At first, it was unclear whether there was a population of wolverines here. They have large home ranges, often 500 square miles or larger, and travel widely to find food or mates. There was a chance that wolverine sightings in Washington were visitors that roamed down from Canada. A 10-year study found that the state does have resident wolverines now. From 2006 through 2015, researchers studied the animals for a project based out of Winthrop. Rohrer was the field coordinator. The final report was released in February 2016. During that study, scientists recorded reproductive dens and what appeared to be parental pairs. Wolverines were trapped and collared so their movements could be tracked. Crews set up stations to capture images of the animals and genetic samples such as fur. Biologists compared the DNA samples from modern Washington wolverines with historical specimens from the late 1800s and early 1900s. They determined that wolverines were previously gone from this region. They have not found any evidence that the family line from a century ago lives on today. Wolverines’ historic habitat included areas across the northern United States and as far south as New Mexico and Southern California. Now, small populations also have been documented in Idaho, Montana, Oregon and Wyoming. Experts estimate that no more than 300 wolverines remain in the continental U.S. In Washington, there could be 30 to 35, Rohrer said. There’s a proposal to list the wolverine as a threatened species. It has not yet been designated as threatened or endangered. Conservation and wildlife groups previously took the issue to court. Gunnell has helped with volunteer monitoring of wolverines. Knowing where the animals are, and how many there may be, helps with planning for forestry and recreation projects, he said. It also informs wildlife protection efforts such as new crossings under and over I-90 so animals can safely navigate from one side of the highway to the other. In July, a wolverine was struck and killed on I-90 between North Bend and Snoqualmie Pass. The wolverine population faces direct and indirect threats as the animals slowly recolonize former habitats, said Aja Woodrow, a wildlife biologist with the U.S. Forest Service in the Cle Elum Ranger District. The animal that died on I-90 is an example of the direct threat of human activity, he said. Climate change is an indirect, but serious, danger for the species. The No. 1 factor in predicting where wolverines will live is whether there is snow on the ground in late April or early May. 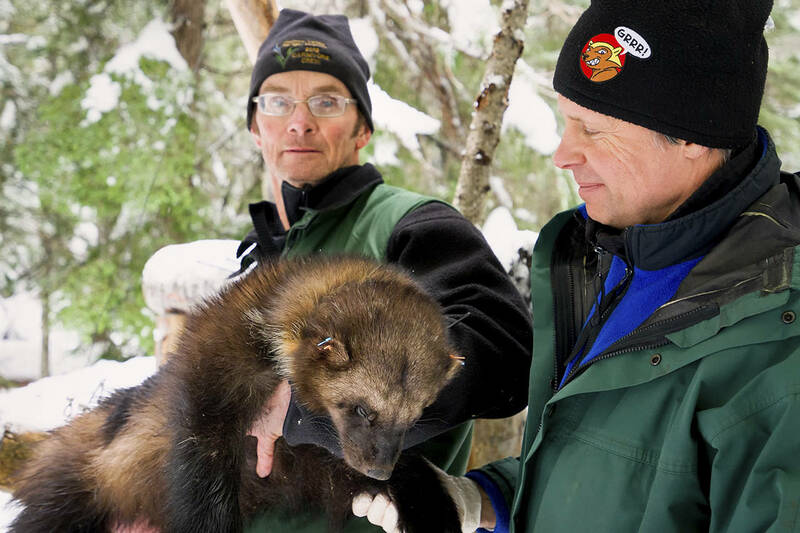 Wolverines give birth in the middle of winter, in high country where the snow is deep, Rohrer said. Mother wolverines will burrow 10 to 15 feet into the snow. They build shelter around something solid — usually a large rock, overturned tree or root wad. Often, it’s avalanche debris. There, they are hidden from other predators and insulated by the snow for warmth. Climate change threatens to decrease snowpack and reduce habitat, according to the wildlife biologists and Conservation Northwest. “We’re lucky that the North Cascades is an area with some of the best snowpack in the Northwest and it remains into the summer,” Gunnell said. They prefer remote and rough terrain. They need space. Wolverines, the largest member of the weasel family to live on land, will defend their territory, including from one another, Woodrow said. The “legend and lore,” he said, is that a 30-pound wolverine will stand its ground to protect its dinner from a grizzly bear. “I think people really admire and respect the little guy who can and will defend itself against a much larger competitor,” Woodrow said. Baited camera stations and citizen reporting continue in an effort to keep tabs on wolverines as they re-settle in Washington. It’s not easy to track animals that travel far distances in cold, treacherous conditions, Rohrer said. Researchers still are experimenting with how to set up camera stations in the fall that can last through a harsh mountain winter without maintenance, then be retrieved in the spring. Meanwhile, it seems the wolverines’ territory in Washington is expanding. Between 2015 and 2016, a camera set up in backcountry west of Lake Chelan captured eight separate visits by wolverines, including photos of two wolverines together. That camera had been placed as part of Conservation Northwest’s Citizen Wildlife Monitoring Project. Earlier this year, a mother wolverine in the southern stretch of the Washington Cascades was documented, the first known mother that far south since the species returned to the state. Whenever someone can capture a glimpse of them in the wild, in a photograph or video, it helps track the return of a resilient predator once thought gone. It’s rare to have a video as clear and high quality as the one Snohomish’s Josh Adams captured this summer near White Chuck Glacier, Rohrer said. Often, he sees photographs with a brown dot that may just be a hoary marmot. Woodrow hasn’t seen a wolverine in the wild, but he keeps hoping.